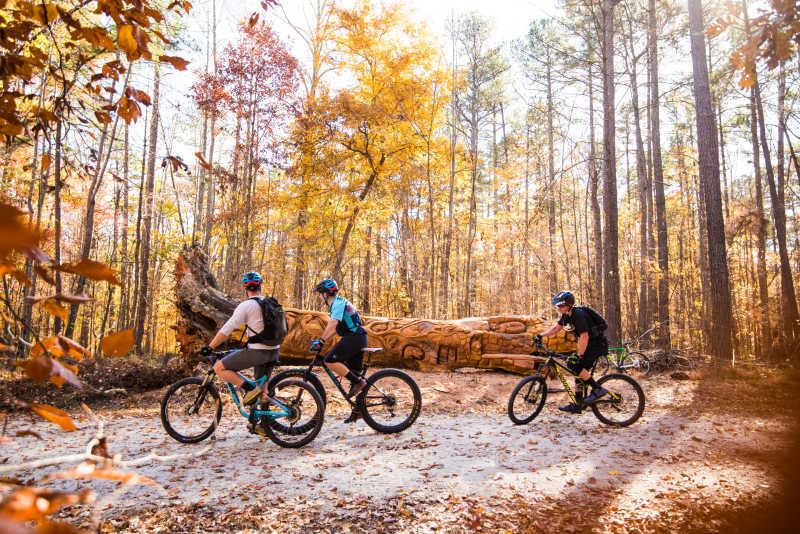 Thousands of locals from around the Raleigh – Durham area visit 919 Blog daily for the most popular events, fun activities, and local entertainment options. Our website has quickly become the definitive online community hub for The Triangle area and the #1 local favorite resource to get up-to-date community information when it comes to the performing arts, music, entertainment, and culture in NC. We also feature exclusive news updates and local in-depth reviews. The posts below are updated hourly. Read Triangle Food Guy's weekly restaurant news on WRAL.com and then listen to him on the new Out and About podcast! On each episode we will dive into the local restaurant scene, then we help you get out of the house with info on great festivals coming up. We'll also have some bonus segments from the Out and About TV. We’re kicking things off in Maywood, the neighborhood that calls Dorothea Dix Park, Trophy on Maywood, and of course, the incredible 75-acre indoor/outdoor State Farmers Market. 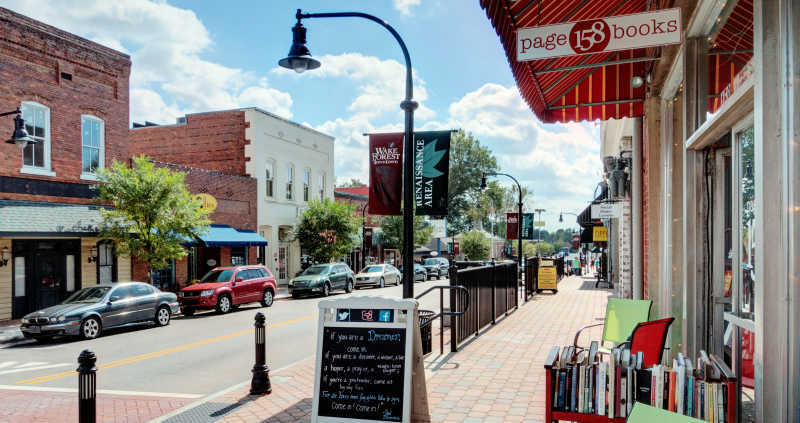 Click the link below for our full guide to the Future of Raleigh and all the exciting, upcoming changes happening in Maywood! Offline Raleigh + Durham with Berkshire Hathaway HomeServices Carolinas Companies. UPDATE: Friday's scheduled contest between the Bulls and Stripers has been postponed because of the threat of inclement weather. The game will be made up as part of a doubleheader on Saturday, April 20 beginning at 5:05 p.m.
WRAL Out & About shared a post. Hey everyone! Unfortunately due to the weather we have to cancel the show tonight. Mark's flight was canceled and we have a few comics driving from Charlotte and Greensboro and we want to keep them off the roads and safe to joke another day. Mark your calendars next month, we have another great lineup coming your way! The oak barrel pyramid at Bull City Solera and Taproom sounds amazing! The owner of Bull City Burger and Brewery and Pompieri Pizza is opening a third restaurant in Durham. It's festival season! Check out our guide to festivals across the state. A look at the festivals around the state this year. Disney decided that neither Raleigh nor Charlotte are big enough to warrant press screenings for the final entry into the Avengers saga. Here are five things I want to see happen in Avengers: Endgame that probably won't. Offline Raleigh + Durham is at Hillside Park, Durham. An Apex restaurant has paid $53,100 in back wages to 18 employees to resolve a federal investigation into alleged overtime and minimum wage violations, authorities said Thursday. The N.C. State Fair just announced this morning a HUGE NEW ADDITION to the grounds next year—North America’s largest traveling FERRIS WHEEL. 🎡 🤩 Currently ranked the tallest at the fair, the Parthenon (pictured above) comes in at 108 ft while the new unnamed Ferris wheel is a beast at 155 ft (for scale about 15 stories high) providing a 15-mile-wide panorama view of the Triangle. With the NC State Fair only *six months away,* we can’t wait to see what this baby is all about. Psst, they want help naming the wheel! Head to their Facebook page to enter your name suggestion before May 8th! Here's the strange tale of how BBQ pitmaster Sam Jones was on his way to a food festival in Florida but found himself mistaken for a car thief. | BREAKING | Raleigh's foodiest festival just announced its FULL LINEUP and—spoiler alert—they totally nailed it. 50+ of the best spots around town will be dishing out unlimited samples May 9 + 10 at Thrive NC presented by Blue Cross NC, including TONS of new faves like Benchwarmer's Bagels, O-Ku Sushi, Locals Oyster Bar, and *so much* more. Peek the full lineup at the link below! Offline Raleigh + Durham with Thrive NC presented by Blue Cross NC. Thanks to our friends over at MLB Raleigh, they're working hard toward their mission of bringing an official MLB home team to Raleigh. Click the link below for all the major deets about this effort. Trophy on Maywood has teamed up with MLB Raleigh to host a kick-off party THIS SATURDAY from 1-4p. Look forward to the exclusive beer release of PLAY BALL PILSNER (bc seriously what's better than Raleigh pride + baseball + beer?). 🍻 There'll be all the Trophy brews, Longleaf Swine BBQ, and Two Roosters Ice Cream ice cream! Psst! Profits from upcoming events and merchandise sales will go towards helping fix baseball fields and launch baseball programs in our community, starting with the Boy’s Club’s field in East Raleigh. And in case you need a reminder of how EPIC this event is—Ashley Christensen and Vivan Howard are headlining the festival with exclusive chef demos, all-you-can-eat food + drinks samples from 60+ of the best restaurants in the Triangle, and lots of live entertainment and happenings. Go to 👉 https://www.gothrivenc.com/festival/ to get your tickets before they’re gone!